Jeff Bezos: billionaire, tech luminary, supervillain? He may be incredibly wealthy, follicly challenged, and have a reputation for being an uncompromising businessman, but that’s where Amazon CEO Jeff Bezos’s similarities with Superman nemesis Lex Luthor end. Or is it? Perhaps the fifth richest man in the world has world-domineering plans of his own, after he showed off his ‘piloting’ skills in a 13-foot tall robot yesterday. 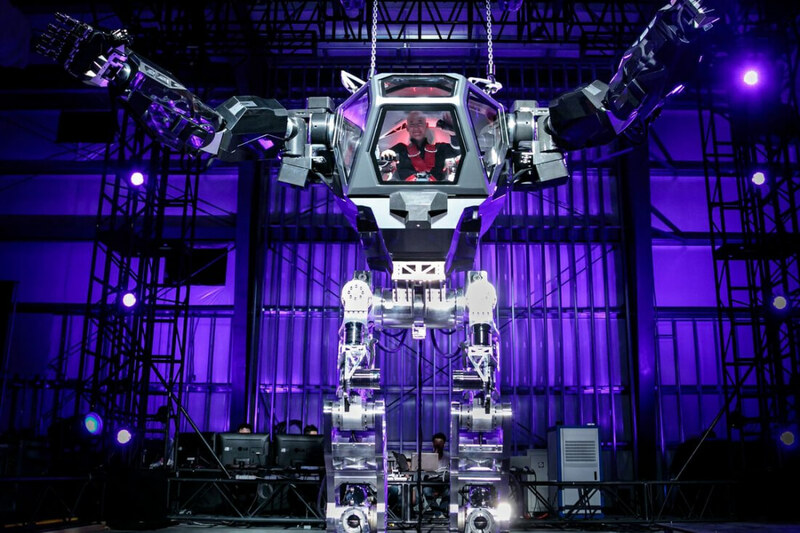 The mech, called Method-2, isn’t Bezos’s own personal Warsuit, allegedly, but instead comes from Korean company Hankook Mirae Technology. He was demonstrating it at Amazon’s annual, invite-only MARS conference, an acronym for machine learning, home automation, robotics, and space exploration. Videos showing Method-2 in action have been floating around the internet since December. Its movie-like appearance is influenced by one of the designers, Vitaly Bulgarov, a concept artist who’s worked on the likes of Ghost in the Shell (live action) and Transformers 4: Age of Extinction. Questions have been raised over whether the footage of Method-2 is actually faked. Live Science strongly believes it isn’t 100 percent genuine, and while the video showing Bezos controlling the mech proves the robot exists, the fact the Amazon boss only moves its arms suggests its mobility (and possibly its strength) were exaggerated. Admittedly, though, those arms are moving pretty fast. “Why do I feel so much like Sigourney Weaver,” said Bezos, showing off the sense of humor CEOs are renowned for. Whether he inquired about using Method-2’s final form as a way of keeping rebellious Amazon workers in check is unclear.